Inside: There’s no “right” way to pray. Find freedom and rest in God’s desire to hear from you. Check out these ideas on how to pray effectively when your mind won’t stay on track. This post contains affiliate links. Do you feel like you don’t know how to pray effectively so maybe some days you don’t pray at all? Your mind is busy, and there is so much to pray for. We tell that friend “I’ll pray for you.” But do we? Our children deserve focused prayers in so many areas of their lives, parents are aging, and friends are going through trials. We know we should pray for the victims of the latest natural or human-made disaster. And often we have our own laundry list of hurts, desires, and trials. You know you should talk to God each day, but you find it difficult to set aside time each day to spend in prayer. For years, I’d pray as I fell asleep each night. That worked while growing up. But now, life seems a little too important to let my prayers be a half-formed thought before falling asleep and nothing more. 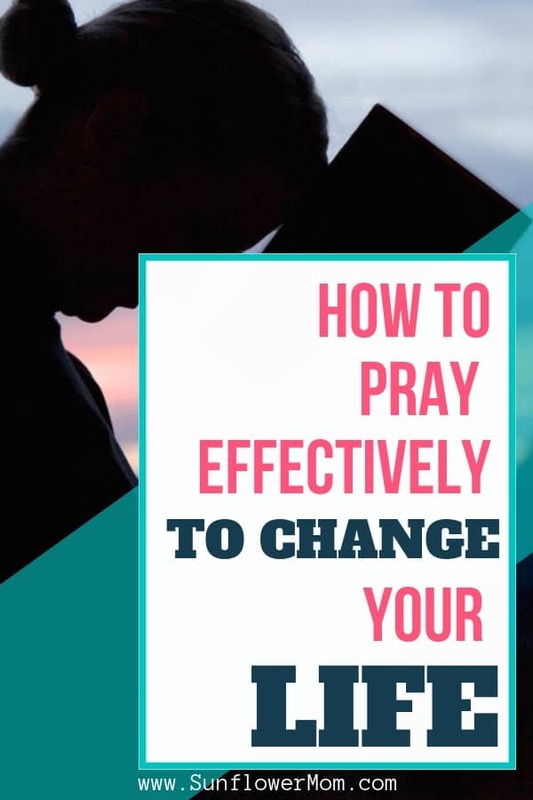 And while it’s true, the Bible says we should “pray without ceasing” (1 Thessalonians 5:17) which allows us to send our prayers up to God throughout our day, if you feel led to a more structured, set aside prayer as well, then read on. How can we organize all of the thoughts in our heads? How can we focus on praying when we have 20,000 other things on our plate? First, know God is pleased whenever and however He hears from His children. There is no right or wrong way to pray. 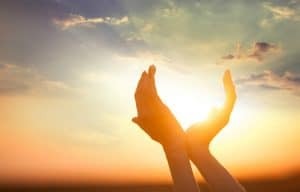 The guides below are merely guides to assist you in keeping your thoughts focused. But if you prefer to sit in a quiet place and talk to God, then He delights in you! Use a blank notebook and write down your prayers. Prayer can be this simple. Just writing your prayers down can keep your mind focused. Whether it be in a diary fashion or bullet points, a notebook with or without lines, find what works for you. 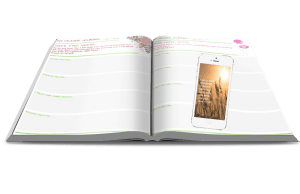 Prayer Notebook App – This app lets you write out your prayers in categories and then set reminders and mark them as answered or you can archive them. You can assign prayers to contacts and indicate which people or topics to pray for each day of the week or you can even skip weekends. You can write out a full prayer or notes to help remind you who or what to pray for. Beth Moore: Whispers of Hope: 10 Weeks of Devotional Prayer – This book is laid out with a short one-page devotional then space for you journal your prayers each day. 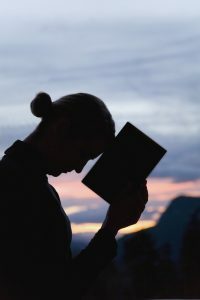 The format for the prayers took me a while to get used to, but once I did, it helped me establish going forward how to pray effectively in a written format. The book Power of a Praying Parent covers multiple topics about how to pray effectively for your children. Instead of reading the book every day, I highlighted the most important and compelling pieces of each prayer (to me, personally) and transferred those highlighted parts into different prayers for my children. 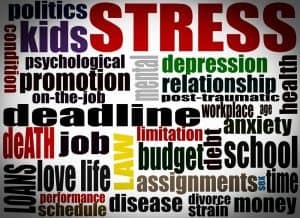 Now, I pray a different prayer for each month on each topic. Also available is a condensed version of prayers Praying Parent Book of Prayers and even a Study Guide. Create a prayer closet. I first heard of this idea from the Armor Of God Bible Study. However, there is a book and a movie on it as well. The book, Fervent, includes notecards you can use to write your prayers in each area of your life to enhance the armor of God in your life. You can experiment with making an actual prayer closet which transforms many people’s prayer life. Take encouraging bible verses and turn them into prayers over your life. I like to use spiral notecards for this. If you buy one with a plastic cover, it will keep for a long time. Each day you can pray a different verse over your life. When appropriate, substitute your name into the verse. 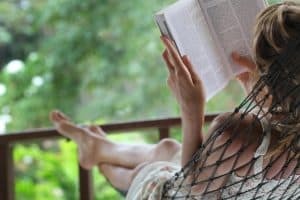 If you are unsure which encouraging Bible Verses to use, check out the post of 30 Encouraging Bible Verses. Pray through your identity in Christ. 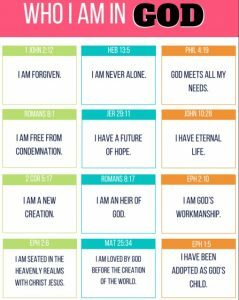 Using a new affirmation each day, pray God’s truth about who you are. Is there a correct way you should format your prayers? The best advice is to begin. Like any relationship, the more you nurture it, the stronger it becomes. There are many references in the Bible to emulate when praying. This article explains many of them. Most common is to follow the format of how Jesus prayed in the Lord’s Prayer found in Matthew 6:9–13. R: Repent. Ask for forgiveness. A: Ask. Ask for the needs of others and yourself. Y: Yield to God’s will for your life. After you have figured out how to pray effectively for your own life, you will find a system for yourself. After trying many different ways myself, I’ve settled on a simplified version to keep me on track. It’s available to you. A prayer journal every week for six weeks, formatted with writing prompts. Screensaver for your phone each week to correspond to the bible verse in your weekly journal, enabling bible memorization. A mid-week video corresponding to the bible verse of the week. There's no "right" way to pray. Find freedom and rest in God's desire to hear from you. Check out these ideas on how to pray effectively when your mind won't stay on track.